Let us now take a short break from all those full-fledge restaurants and heavy duty eateries and turn to a place highly dedicated on giving you desserts and easy on the stomach munchies. I’ve visited the place for a while now (it’s within the Unijaya Commercial area at Jalan Sin Onn) and it’s definitely a place to chill out. They pretty much had a number of cold beverages (such as smoothies, ice blended drinks, milk teas, ice-creams) and tea time goodies (like hotdogs, burgers, toasts, waffles) within their menu. Heck, they even sell their own brand of ice-creams at local supermarkets such as Asia Superstore and Servay Parkwell and had a (tiny) branch at Fajar Complex. But I do agree with other patrons when they stated (in social media of course) that the service was quite slow, even though they actually had enough staff. And the café’s name can also be a bit misleading, since only around 20% of their overall menu involves anything chocolate in them. So this time around we tried out their Chicken Burger (a generous portion & tasted nice but somewhat dry), Chicken Ham Cheese Toast (just okay in taste as the bread was a bit stale) and some of their beverages like Chocolate Ice Blend (nothing spectacular but it isn’t too sweet either which I like) and Hot Mocha (sans coffee art - my partner said that it is dissapointing diluted for some reason). I don’t know if you notice this but I have been mentioning Eastern Plaza quite a lot in my previous posts. And for those of you who’re still in the dark (which if you’re a local, is a serious problem) the Eastern Plaza is officially the one and only shopping mall in Tawau. And like every other malls out there, it is essential that they also provide a food court within the premise. It’s typically on the lower ground of any mall and that is exactly where the EP food court resides. Now I’ve been to the mall regularly for years and I even get to see numerous stall vendors come and go. Among the most notable (that have sadly moved out) were a stall which specializes in all things Nasi Kuning (one of my former favourites), a stall on Western dishes (but you can still sample their food at their main café at Kubota Square called Chiffonade), a stall that sold Duck Rice (yup, the cousin to Chicken Rice – and the gravy tasted delicious), a stall with a variety of Malay-Brunei ‘lauk’ (very tasty indeed) and a stall which focuses on vegetarian food (which unfortunately just recently closed as well). Another one that is showing signs of closing (or maybe they already had?) 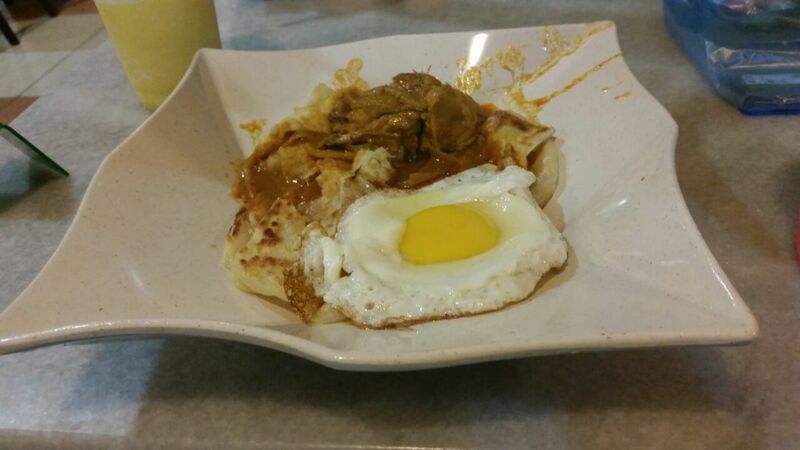 is the Roti Canai SP stall. 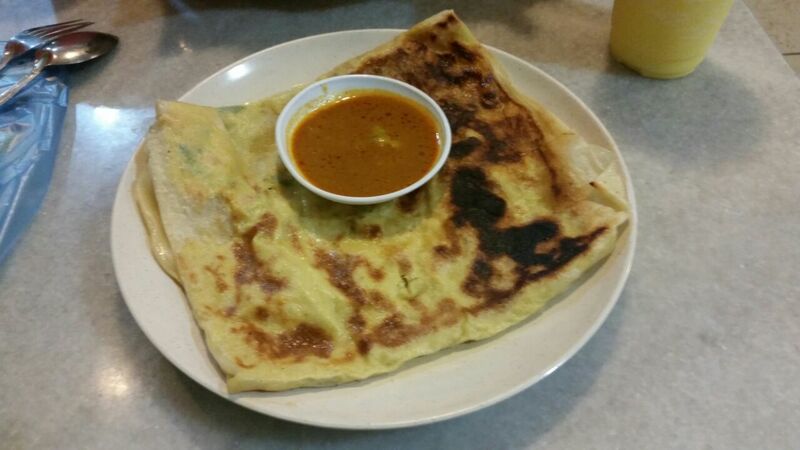 We’d tried out their variety of roti canai and it’s pretty good. The only ones left standing now are the Musliyana 1Malaysia stall (which sells Malay food at very reasonable prices), a Chinese food stall that mainly sells Chicken Rice and the undisputed snack and beverages stall at the side of the court (which they usually only provide one per food court to avoid competition). Such a shame though because the place has a lot of potential and is pretty well kept. Maybe the rent is too high for any vendors to maintain their business? It is pretty well known throughout Tawau that Jafre Mee Tauhu is the place to go whenever you’re craving for mee tauhu (plain fried noodles + a set of brown and white tofu). But in the past few years, there’s another place in town that can give them a run for their money. You guys should really give Kedai Kopi Mee Tauhu Tawau a try as well. Situated at the Leeka Light Industry Estate, right at the back of Jade Ocean Restaurant, its location is somewhat hidden from the main road but it’s not that difficult to find them. For one, you’ll spot a number of patrons standing outside of the premise, waiting for any available place to sit and eat. But all of that can be avoided if you came during non peak hours (usually after early breakfast time & on weekdays), just like we did recently. We’d ordered their highly popular Mee Tauhu set and the taste is lovely. It’s very similar to those from its main rival, as the owner of this fine establishment once worked as a cook at Jafre (yup, that pretty much explains why they're pretty popular as well). But I’m glad to say that not all of their dishes are mere copies of the latter. 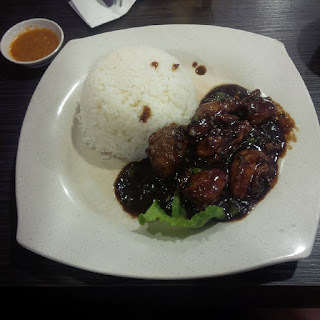 Their sambal for example, tasted sweeter than its counterpart and that’s a good thing. 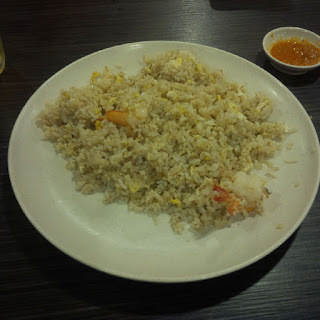 They also provide Nasi Kuning (which my partner had sampled and give thumbs up to them) for those not in the mood for any noodles and tofu. While strolling down the streets of Fajar Complex recently, I’ve noticed that new eateries had somewhat mushroomed within the area especially in the past few months. One such place is this newly opened Ikan Goreng TNT (yes, the dynamite part did came to mind) which is situated opposite the in-famous Indo Café (more on that on a later post) and next to the Nationwide Express courier services. The restaurant has seen several (swift) changes from different Chinese owners to its most recent one. Honestly, I’m not a fan of fish to begin with so it does take a lot of persuasion from my dad (who’s a die hard fish fan) to join them for dinner recently. The place is strictly a fish-dish-only restaurant, with only 3 choices of ways for them to prepare your choice of fish. You can have your fish grilled, boiled (yes, not to be confuse with steamed) and the good old fried. The fish will then be prepared with free flow of rice and vegetable soup. We coincidentally agreed upon ordering our fish grilled so I can’t actually show you the other types of dishes. Personally, the fish tasted fresh but the grilling and the sambal that came with it was somewhat a let down for me. The grilling process left the dish oily for some reason and the sambal especially lacked any punch. But my father seemed to love them nevertheless. Here’s another place that me and my family frequented before but has somehow been ‘forgotten’ as of late. Possibly because there’re other new places to try on here in Tawau. Or maybe because of the somewhat declining quality of their food lately? Anyhow, don’t just take my word for it and try them for yourself. Maybe you’ll have a more positive experience that we had. The restaurant is located at the in-famous ‘hotel row’ at Fajar Complex, right next to another eatery that I've reviewed before. Like I’ve mention before, the food quality has somehow gone downwards during our last few visits, maybe due to the lack of kitchen staff (so I’ve heard anyway). We took a couple of family friends there for lunch (because they coincidentally stayed at one of the hotels nearby) and the food was only average in terms of taste. We had their Nasi Lemak Ayam (available throughout the day – the better tasting one among them all), Nasi Goreng Ayam (a very simple looking dish), some Taugeh Ikan Masin (meh! ), Blackpepper Chicken with Rice (I guess that’s what they call them, I can’t remember though – but it tasted like one) and last but not least, their name sake of course, a Roasted Chicken Rice (it’s so-so in taste).